I thought this was a remarkable book. The blurb, with a little help from Google, told me Helen Allison was born in Scotland in 1927, where she trained and practiced as a nurse. After emigrating to Canada, she was appointed as the nurse in charge of the new Palliative Care Unit at St. Boniface Hospital in Winnipeg, Manitoba when it opened in 1975. I found her writing style a little difficult – a little blunt here, a little choppy there – but nothing that made you want to put the book down or stop reading on. And on just about every page there were little pearls of sound clinical wisdom. Truths about ways that we, who believe in and practice palliative care, might be able to do it better. And harsher truths about ‘the inadequacy of a health care system so focused on technology and cure that it has lost sight of the person who is ill,’ and which has fostered ‘a fear of openly discussing grief, suffering, illness, pain and death’. Some of her descriptions of paternalism and non-communication left me hoping that they were things of the past, but it doesn’t hurt to be reminded. 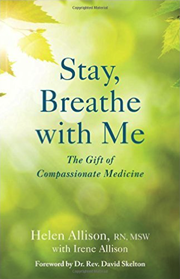 I think anybody who works in palliative care will enjoy and benefit from reading this book. RRP $US17.68 (hardback). £8.99 (paperback). Another book that arrived as a gift. One I thought people who work in palliative care would enjoy. I certainly did. 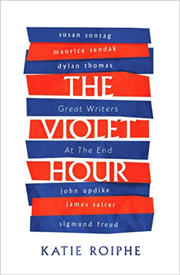 Katie Roiphe has put together a collection describing the last days of six great thinkers and writers – Susan Sontag, Sigmund Freud, John Updike, Dylan Thomas, Maurice Sendak and James Salter. Her descriptions of the circumstances and surroundings are both graceful and intimate without being sentimental. Drawn against the backdrop of their previous work, they are enlivened by quotation of things written a few or many years earlier, and there are also quotes from other people who were in the room. And it’s all done with a wonderful light touch and there are no long, historical sagas to navigate. From the perspective of someone who works in palliative care, Roiphe presents a wonderful set of case histories that encompass many of the problems we see in end-of-life care. Some of them turn out well, some don’t. But we do not get to choose our patients, and it is interesting to read what happened to these folk. And who would have been the most difficult to deal with? Susan Sontag, I think. The woman who would not even contemplate the possibility that her third cancer might lead to her death, never mind talk about it. But in another way, that makes her story the saddest. 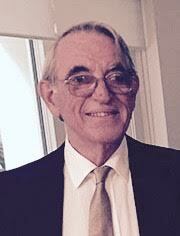 If you work in palliative care, I think you will enjoy reading these stories. And there’s a lot to think about.